I sometimes have to remind myself of the steps I have made to re-design my life. But they’ve been huge steps in reclaiming joy and peace in my life. 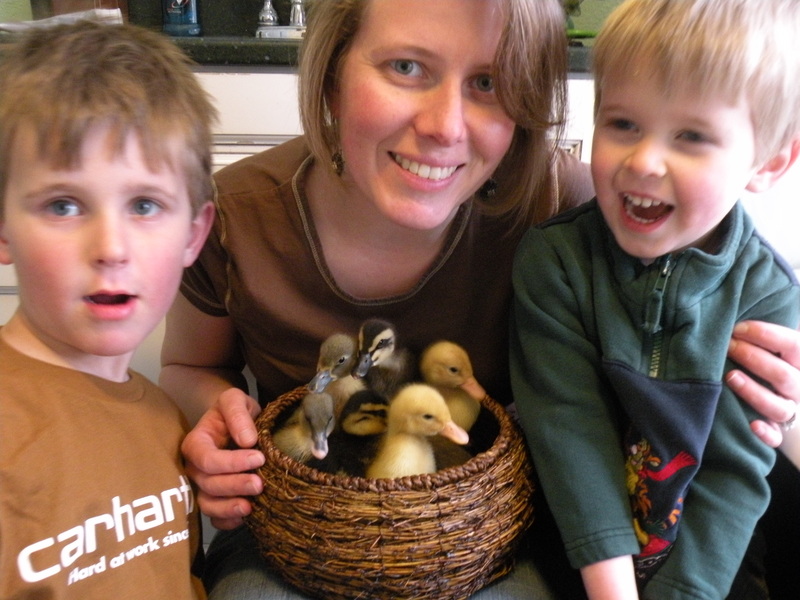 Me and my boys with our new baby ducklings. No more 60 hour work weeks. Rarely 40 hour work weeks anymore. Through contracts, projects, and writing I make enough to allow me to keep on building my business and paying my bills. But more, I have enough time to make room for living. To make time for life. Time to enjoy my children. Time to grow a garden. Time to sell jams, jellies, and sunflowers at the local farmers market. Time to listen to the world. It is worth every penny, every hour that I get to call my own. It is worth living my life. Posted in Appreciating the Moment, Redefining Work and tagged accomplishing goals, balance, breathing, business plans, emotional health, joy, life, personal growth, recovery, time. Bookmark the permalink.